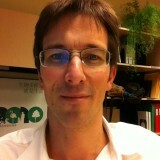 Henrique Mercer, Montreal. Viviana Figueroa, Montreal. Andre Mader, Montreal. Oliver Hillel, Montreal. Over time, cities originated wherever indigenous cultures agglomerated and planned links between their settlements and peri-urban ecosystems for the provision of water, food and other goods and services. Not by coincidence, these settlements often occurred in biodiversity hotspots—and we know that historically cities were hotbeds for innovation of all sorts. Yet indigenous knowledge on the sustainable use of biodiversity has largely been unutilized in city design. Here we propose to identify some “bright spots” in integrating traditional knowledge on environmental protection in cities. Like the rest of us, the majority of indigenous peoples all over the world now live in urban settings, and that proportion is increasing. Almost 60% of the indigenous population of Panama lives in its main city, as is the case of Maracaibo in Venezuela. Cities like La Paz (Bolivia), Santiago (Chile), San José (Costa Rica) and Fernheim (Paraguay) concentrate up to 40% of their country’s total urban indigenous population. This growing trend has implications for their lifestyles and culture, including risks of alienation and loss of traditional knowledge. Urban indigenous peoples often find it hard to pass these on to younger generations. Furthermore, many indigenous peoples in various regions are currently living in housing that is at odds with their cultural needs, which is evident by having to give up traditional and culturally specific housing when they migrate to cities. In fact, housing conditions offered to migrating indigenous peoples often do not meet even minimal local criteria for quality of life. 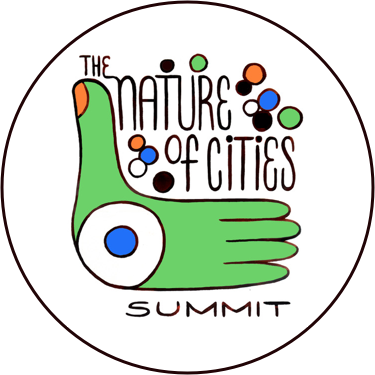 “…cities are not always the destination of opportunities for indigenous peoples. Some indigenous peoples arrive in cities compelled to leave their ancestral lands due to necessity. Escaping natural disasters, conflict or dispossession, caused by large-scale development projects, engulfed in urban extension, indigenous peoples find themselves deprived of their resources and unable to carry out their traditional occupations and livelihood. Limited socio-economic opportunities in the cities result in indigenous peoples’ exclusion from economic gains of the growing cities. Cultural distinctiveness from the majority populations can lead to discrimination and further marginalization from processes affecting urban communities. Cooperating with UN-Habitat, the United Nations Environment Programme (UNEP) is the principal UN agency in the field of the environment, assisting governments to address global, regional and national environmental challenges. It has an active agenda on green cities and urbanization, and develops a series of activities with indigenous peoples around the world on several topics such as the Post-2015 agenda, human rights, pastoralism, climate change, ecosystems, poverty, REDD, and TEEB among others. However, the potentially positive influences of traditional knowledge in urban planning have not been studied or generally included in urban planning. When producing the booklet celebrating the 2014 theme of islands for the International Day on Biodiversity with the Global Islands Partnership (GLISPA), the Secretariat of the Convention on Biological Diversity (SCBD) was inspired by the “bright spots” approach proposed by Rare (“find what works and repeat it”). 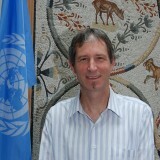 We’d like to propose the same reasoning to indigenous urbanization, as it can also present opportunities for traditional forms of land-use, ecosystem management and occupation of space to evolve into a source of new and creative ways for urban design and to achieve sustainable urbanization at a time cities around the world are facing the loss of their biodiversity. This will always be done through the full participation of indigenous peoples and traditional communities as urban citizens, planning urban spaces, diversifying landscapes and designing cities differently. In other words, traditional knowledge and diverse cultural identities have the potential to improve urban design, governance and enhance the quality of urban life inasmuch as indigenous peoples have the opportunity to fully participate in the city planning and governance process. Our efforts are to identify best practices on how indigenous peoples and traditional communities urbanize with nature, incorporating biodiversity and more sustainable forms of socio-ecological production landscapes and seascapes into the urban fabric, and linking peri-urban and urban ecosystems into innovative city design and planning. The Convention on Biological Diversity (CBD) states that traditional knowledge is both an element of biodiversity and a tool for conservation of biodiversity and sustainable use of its components, which are two out of the three objectives of the Convention. Recent decisions of the Conference of the Parties (COP), which is the governing body of the Convention, provide a mandate for exploring ways and means for increasing indigenous engagement in urban planning and governance, as one of the steps to achieve Aichi Targets, especially target 18. Traditional knowledge and practices can make a significant contribution to sustainable development. Most indigenous peoples and traditional communities are situated in areas where the vast majority of the world’s biological and cultural diversities are found. Many of these indigenous peoples and local communities have cultivated and used biological diversity in a sustainable way for thousands of years. Some of their practices have been proven to enhance and promote biodiversity at the local level and aid in maintaining healthy ecosystems. 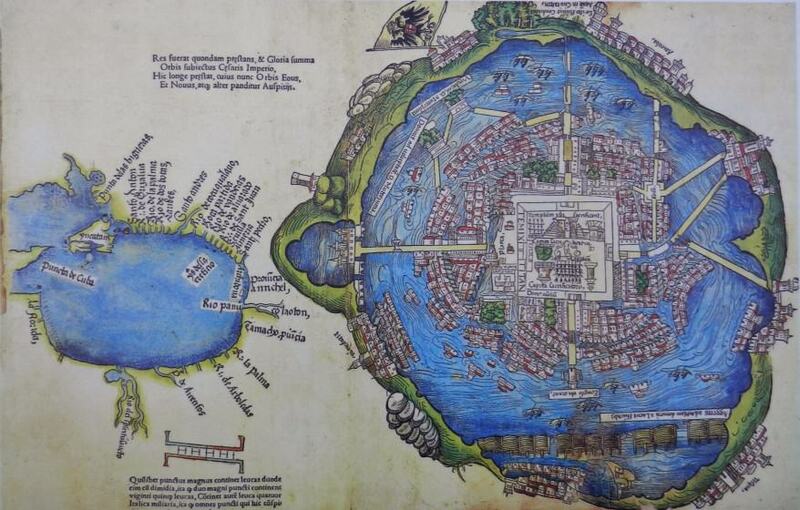 Tenochtitlan was an Aztec city located on an island in Lake Texcoco. Today, its ruins are in a central part of Mexico City. As mentioned, the contribution of indigenous people’s traditional knowledge to urbanization is historical. 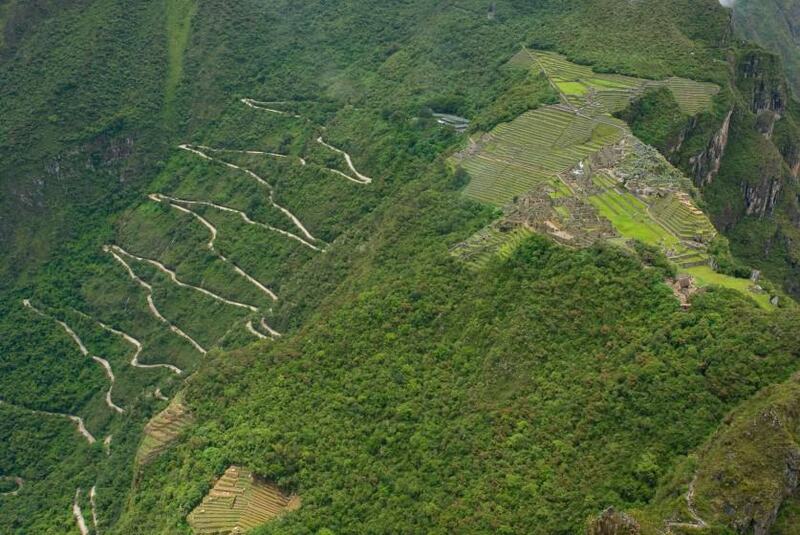 For example, in Machu Picchu (Peru) the Inca developed a successful method which allowed the construction of the city in a mountain top with seismic activity using the chips which they carved off of the stones in their construction and as a method to avoid mud and landslides, as well as flooding, and an agriculture sector, where extensive terraces were used for agriculture and sophisticated channeling systems provided irrigation for the fields. The terraces were used chiefly to drain and syphon the water from rain, as well as to hold the mountain in place. Each terrace was multi layered: first top soil, then dirt, sand and finally stone chips. This meant that water which sat on the terraces would sift downward into the mountain, as opposed to overflowing and running down the mountain. Located on what today is in the central area of Mexico City, Tenochtitlan was the capital of the Aztec Empire and the largest city in pre-Colombian America with an estimated population over 200 thousand inhabitants by the time of the Spanish conquest. It had two double aqueducts, each more than 4 km long and made of terracotta, that provided the city with fresh water from the springs at Chapultepec for cleaning and washing. A complex system of canals, extending throughout the city, provided the infrastructure for an efficient approach to sanitation. Over one thousand people worked to collect waste nightly, using barges to recycle organic waste for cultivation and dispose of other forms of waste. Contemporary Mexico City has even begun to imitate its practice of recycling waste for the fertilization. Over time indigenous peoples also accumulated knowledge from their failures in urbanization. 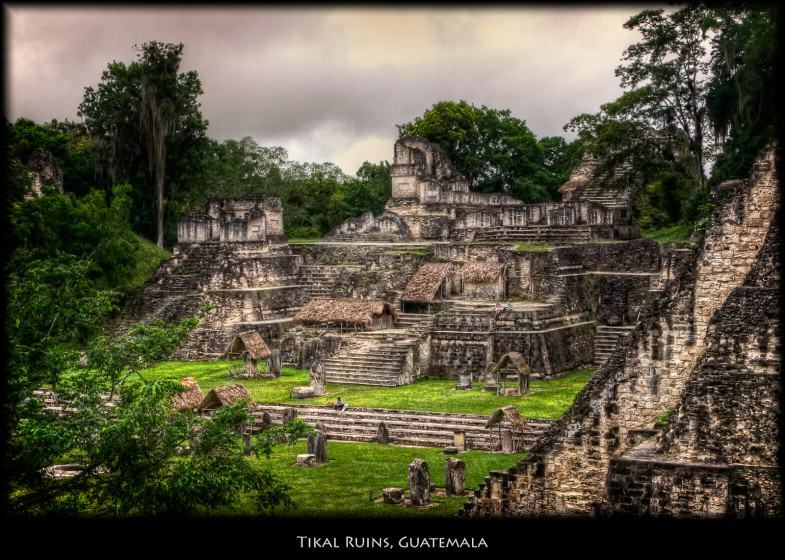 Tikal, despite being one of the larger Mayan cities with almost 90 thousand inhabitants, had no water source other than the rain. For this reason its inhabitants built 10 reservoirs. However when the population reached its peak, most of it was urban. This led to intensive agriculture and environmental decline with erosion, deforestation and loss of nutrients leading to a subsequent population decline and the city collapse. 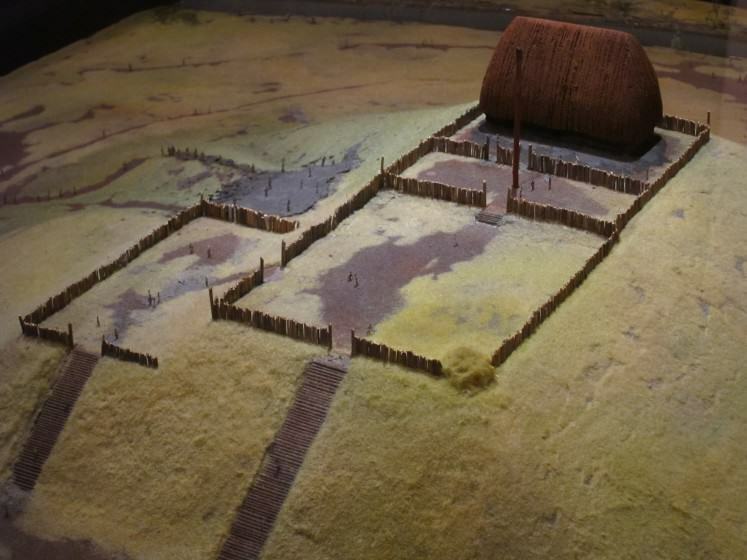 Cahokia, which was the biggest pre-Colombian city north from Mexico, suffered from lack of supplies and with the waste disposal which made the city unhealthy. Its decline is also due to deforestation and a subsequent lack of wood. Today we see examples of communities in urban spaces that have gone ahead to secure their culture and livelihoods. In Cape Town, the NGO led project Healthy Streets – Healthy People: Mitigating the impacts of wild medicinal plant harvesting in Cape Town through research, engagement and inclusive partnership with Rasta herbalists brought conservation officials to work alongside Rasta bossiedoktors (bush doctors or herbalists) and other citizens to plant on the Seawinds open-access street garden. In this garden, 80-90% of the plants are indigenous. Developing a medicinal street garden in low income areas and strengthening biocultural ecosystem resilience built a communication and collaboration space for Rasta and conservation stakeholders. The gardens also add aesthetic, biodiversity, and direct use value to otherwise degraded residential streets. It should be noted, however, that some considered this project to have had a negative impact on biodiversity in the area because of the not-always-sustainable harvesting of a variety of indigenous plants for sale rather than personal medicinal/culinary use. Still, it is clear that opportunities arise from engaging indigenous people in urban planning, design and implementation. Their traditional knowledge has proven to contribute to higher quality of urban life. It is a source of new and creative ways to sustainable development, planning urban spaces, diversify landscapes and designing cities differently. Identifying these solutions can also be the task of indigenous universities, some of which in Latin America already offer degrees in city management. For instance in Mexico, the Universidad Autónoma Indígena de México offers a masters degree in municipal development. This program aims not only on those who work in the city administration but also in those who work on NGOs that deal with municipal development ensuring that indigenous peoples be prepared to participate in the city development in all levels. We have selected some examples of local governments which were either able to engage indigenous people in their urban planning solution and add their views to the city project, or were able to identify traditional knowledge bright spots and apply then on their cities. While links to biodiversity are not always direct, the potential of such engagements is clear. Auckland’s character has been shaped by the shared experiences of Maori and European peoples. Maori see themselves as belonging to the land, as opposed to the land belonging to them, and the natural environment plays a significant role in defining the Maori sense of place. The city council has an Independent Maori Statutory Board, whose objective is ensuring that the Council takes into account Maori views in decision making. In order to do so, the board elaborates a Maori priority list of issues (including environmental ones) relevant to the Maori in Auckland that will guide the development of the board working programme. The city also has a Pacific Peoples Advisory Panel. The Panel identifies and communicates to the Council the interests of Pacific peoples living in Auckland regarding Council’s strategies, policies, plans and bylaws or any other matter the Panel considers of interests of the pacific peoples in Auckland. 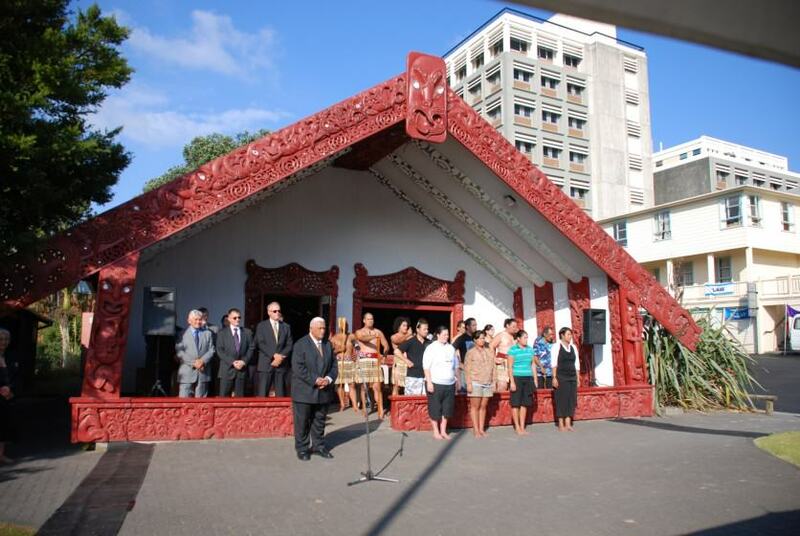 The city also has a Maori Strategy and Relations department, which takes care of its obligations towards the Maori. With the participation of the Maori, the Auckland City Council developed an urban design framework, in which the number one goal is to reflect the city’s Maori, Pacific, and multicultural identity to be visibly identifiable as a place in the South Pacific. The use of Maori values in urban design and development is entirely consistent with low-impact urban design and development. The merging of Maori values, approaches and principles with Eurocentric based architecture, design, engineering, and planning disciplines results in greater integration between environmental aspects of urban design and more low impact, energy, resource and cost efficient design to achieve socially and culturally sensitive sustainable development in urban built environments. 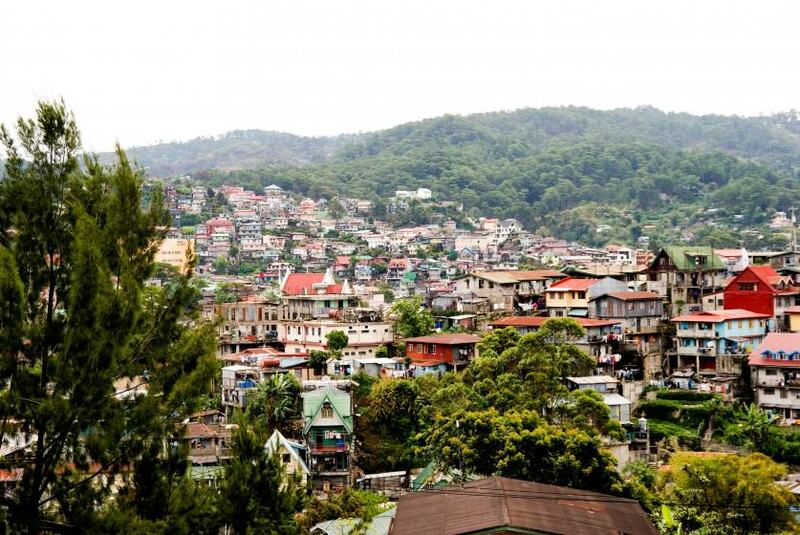 With 60% of its total population comprised of indigenous peoples originally from Cordillera Villages, Baguio City has an indigenous mayor and is in the process of updating it Comprehensive Land Use Plan (CLUP) and the amended zoning ordinance which serves as the CLUP’s implementing tool. The City Council decided to include an indigenous peoples sector in the CLUP, with the proposed policy that “ancestral lands in the city shall be respected and shall be accorded the same rights and responsibilities appurtenant to private titles. Hence, all registered owners of legitimate ancestral domain/land titles shall formulate their respective sustainable development, protection and management plans pursuant to the provision of Republic Act 8371 and other pertinent laws”. Edmonton has created the Edmonton Urban Affairs Committee and an Aboriginal Relations Office. Edmonton is bringing aboriginal perspectives on environment to city projects, among them the land use review of a portion of Whitemud Park proposed by an indigenous organization to turn a farm site part of the park to become a permanent licensed site for indigenous activities. Another example of aboriginal perspective is the fund for the redesign of Walterdale Bridge in Rossdale, which is located near a traditional burial ground. In 1997 the Resort Municipality of Whistler met with the Lil’wat Nation to consult about opportunities for the Nation’s participation and presence. Out of these discussions, the idea of a world-class cultural centre was born and a relationship in the spirit of goodwill and cooperation evolved. The Squamish and Lil’wat Nations built a Cultural Centre to house and showcase indigenous art, history and culture. Indigenous builders have treated the site with respect, building on the northern side of the property and leaving the forested area mostly untouched. The building is designed to evoke the longhouses of our Squamish people and the Istken (traditional earthen pit house) of Lil’wat people with a modern architectural interpretation. The structure was awarded the CBD’s 2010 Indigenous Tourism and Biodiversity Award. Other approaches can be inferred from the studies linked to “satoyama” and “satoumi” in Japan. Satoyama and satoumi are kinds of socio-ecological production landscapes and seascapes (SEPLS), and are effective models for reaching biodiversity targets without damaging human production activities and originally. 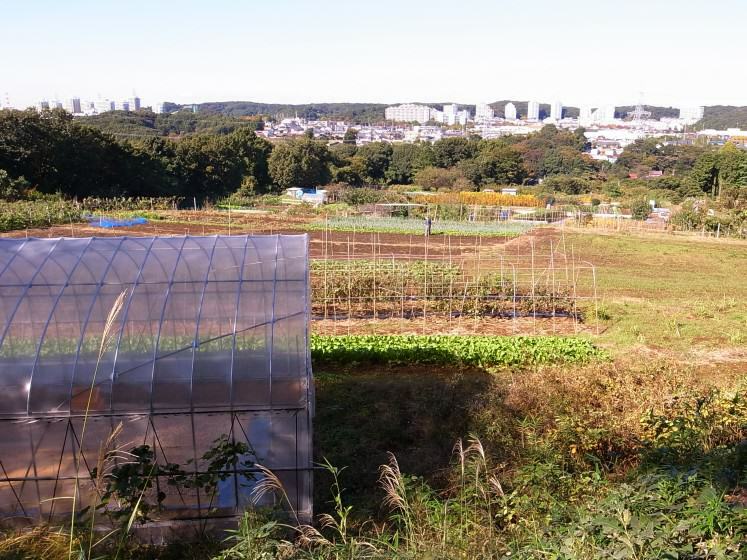 As a traditional practice, Satoyama landscapes in peri-urban areas have been faced with new challenges, including conversion of land into built-up areas and the loss of traditional knowledge to manage the landscape. This is significant because the area near Tokyo has maintained relatively higher species richness compared to non-traditional models, suggesting the importance of traditional knowledge for environmental management. Nowadays satoyama landscapes in peri-urban areas in Japan have become very different from those in the past. Due to the breakup of nuclear families they are highly fragmented and there are fewer people who can continue farming and managing the forest. In urban settings, this traditional knowledge has been approached differently. Satoyama became an example of urban management and governance of a traditional knowledge bright spot that the local authorities have identified as offering a model to be applied by the city. Today it is largely applied by public authorities or urban volunteers, also in the designation as conservation areas or urban parks. It has provided opportunities where urban citizens can connect with nature and gain traditional knowledge. SEPLS can take many forms around the world where a significant amount of urban food production takes place, making production areas that include human settlements more resilient and sustainable through effective management by the people who rely on their products for their livelihoods. Often relying heavily on traditional knowledge and institutions, or, in the case of satoyama in Japan, employing rediscovered and reevaluated knowledge for landscape revitalization and maintenance, they also serve to link and strengthen both cultural and biological diversity. 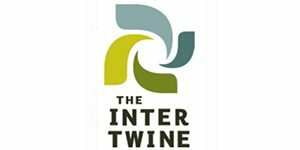 Examples are being collected and further studied by the United Nations University Institute for the Advanced Study of Sustainability (UNU-IAS), which hosts the International Partnership for the Satoyama Initiative (IPSI). Founded more than 25 years ago, Tjapukai Aboriginal Cultural Park enables guests to immerse themselves in traditional Tjapukai culture with authentic music, dance and storytelling by the Tjapukai people. The world’s oldest living culture is brought to life by Aboriginal performances set in a uniquely sensitive architectural environment which highlights the central importance of biodiversity to ancestral culture. The Park has been built on traditional Tjapukai land in a beautiful rainforest setting. Since commencing operations, Tjapukai has been visited by more than 3 million people and injected in excess of $35 million to the local Aboriginal community in wages, royalties and through the purchase and commissioning of art and artifacts. Many more examples can be found. The City of Guatemala has important indigenous communities, which have also brought some aspects of traditional knowledge into their urban architecture and functionalities. In Bolivia indigenous urban communities can enjoy two separate and complementary institutional systems. In Santa Cruz de la Sierra, several indigenous communities cooperate on a “Being Indigenous in a City”. The main elements of the project include institutional strengthening, capacity building, a set of proposed urban laws and a communications campaign. Cities like Saraguro in Ecuador offer indigenous cultural experiences in natural settings as one of its key tourism attractions. Mr. Lalande of UN-Habitat cautions that sustainable urban development models must take into consideration the diversity and possible sources of discrimination. A one size-fits-all approach to housing, urban policy and planning is not adequate to counter the inequalities apparent amongst the indigenous population of cities. However, the examples of bright spots that we have seen above show that it is possible to engage indigenous urban people in urban planning in ways that both the city government and its indigenous citizens benefit. These examples also indicate that urbanization of indigenous peoples does not necessarily mean only loss—there are gains where communities find their roots and apply their traditional knowledge to their new urban situation. We suggest that researchers look for even smaller scale solutions and analyze their success to apply to other places. One can apply the so-called ‘bright spots’ approach to finding solutions to using biodiversity in an urban context that come along with the (largely inevitable) challenges of urbanization of indigenous and traditional communities. This incubation of bright spots also means trying to further combine traditional approaches with new social-media empowered urban-community initiatives, and ask scientists and thinkers to look at what we can learn.. There is an irresistible trend for the urbanization of indigenous peoples and traditional communities, with associated high risks of loss of traditional knowledge and social alienation. However, there are also significant best practices/bright spots/benchmarks of indigenous/traditional empowerment in urban design, social architecture, biodiversity-friendly urban landscape management, conservation partnerships and urban agriculture for food security. How could they be compiled and made available for replication? Drawing on those examples, what guidelines and policies in community empowerment and governance systems could help mainstream these practices in biodiversity-friendly/sustainable design and construction guidelines related to landscape use, community area design and socio-cultural architecture originating from traditional knowledge into current urban design, construction and operation? Could traditional practices associated with growing food and medicines in urban peripheries enhance a healthy diet for all city dwellers, conserve or even enlarge green spaces promoting biodiversity and also give indigenous families opportunities tosecure their livelihoods? We’d like to invite the TNOC community and the wider expert group behind it to offer constructive suggestions on how to identify, describe and offer those solutions as models for others to use and benefit from. We invite contributions and comments via email [email protected]. Note: The views expressed in this article are the personal views of the authors, and are not the official views of the CBD Secretariat. 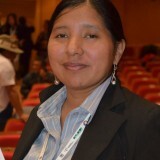 Viviana Elsa Figueroa is an Associate Programme Officer at the Convention on Biological Diversity, in the Traditional Knowledge, Innovations and Practice, Mainstreaming, Partnerships and Outreach Division. Henrique Mercer is currently an intern at the Secretariat of the Convention on Biological Diversity, working on Traditional Knowledge and Cities and Biodiversity programmes. He recently earned an LL.D. at the Université de Montréal, specializing in Traditional Knowledge and Intellectual Property. 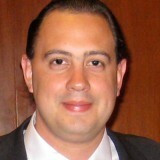 Prior to that he was a lawyer in Brazil.